Just a few days ago we were forced to take of Raging Bull, one of the most promising new casinos, off our site. It wasn’t easy since we were working closely with this group and had a lot of appreciation to the people behind it. Two days later, and Raging Bull event seems like a storm in a teacup compared to what was next to follow. Club World Casino group, one of the oldest and most reputable companies on the market; the company behind such popular brands as Lucky Red, High Noon, Aladdin’s Gold, Manhattan Slots and others, became a subject to hostile takeover. See more on this video below from OnlineCasinoReviewer.com. All the rumors point in one direction and we will update the moment we know for sure. 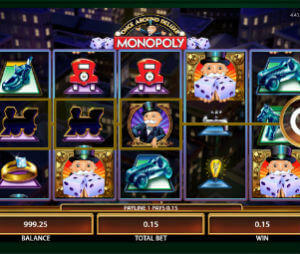 In any case, since the acquisition the casino became completely irresponsible to players and affiliates. Key figures, such as Martyn Beacon, that were managing CWC group for over a decade, filed their resignation notice. Due to that, we are forced to take all CWC casinos from our site. We know that many of our visitors have warm feelings towards Lucky Red and other sites of this group. Us too. Nevertheless, we highly recommend to avoid making any deposits in these casinos in the future. If you have any funds in one of those sites, you should withdraw them the asap. As we always say, you should gamble only at the slots or at the tables, not with the casino you play at. These is definitely the saddest day to all casino fans across the country, at least since the closure of Go casino group back in 2011.